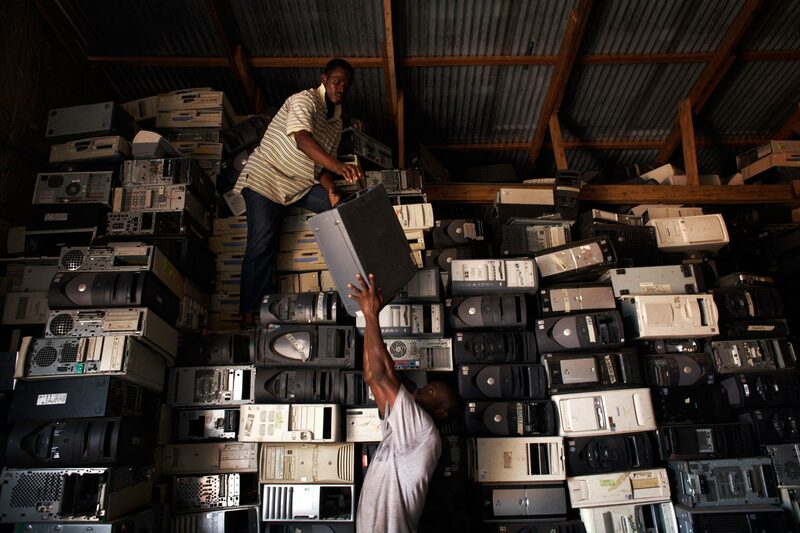 Computer hard drives are stacked high at a importers warehouse in Accra. The majority of them are not working and will be scrapped. Containers arriving in Ghana with computers are often labelled second hand goods so as to bypass international laws, but in reality as much as 80% of the equipment will be obsolete or broken.